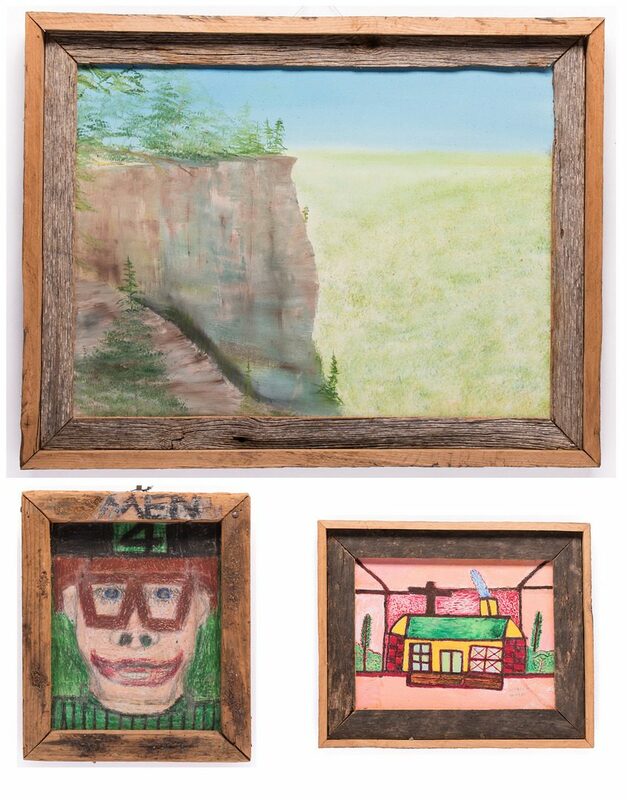 Three (3) Folk Art paintings, inc. Bissonnette, Wood. 1st item: Larry Bissonnette (Vermont, b. 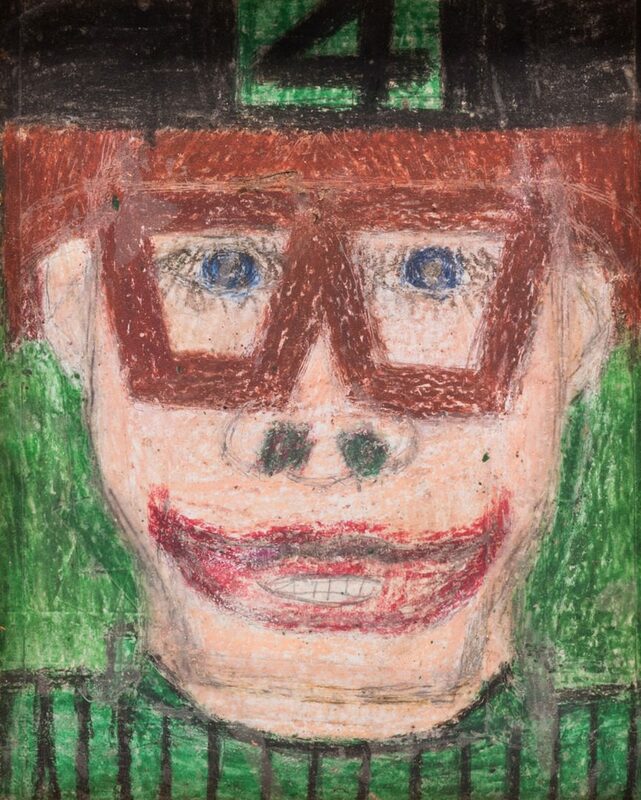 1957) mixed media on board painting depicting a man with glasses with the number “4” on his forehead. 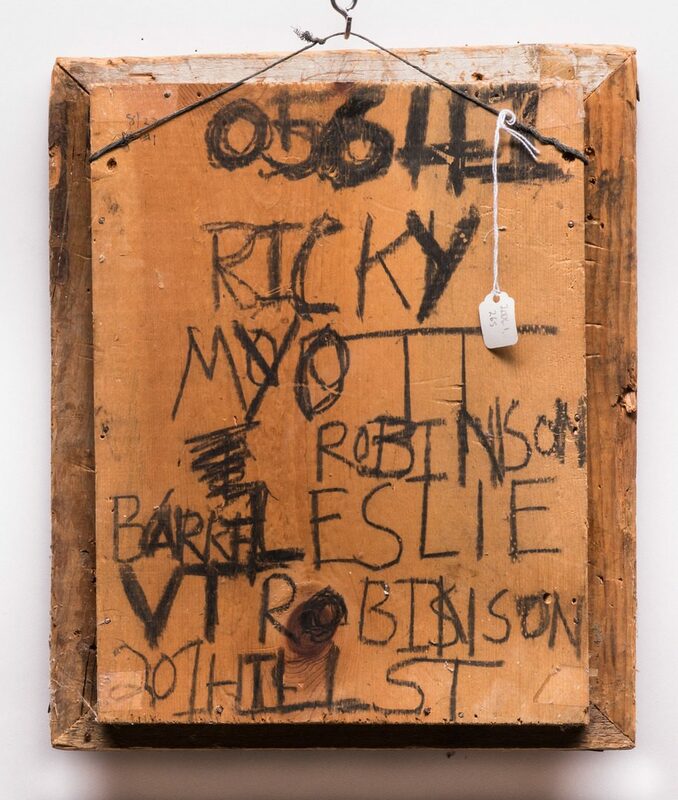 Signed “05641/RICKY/MYOTT/ROBINSON/BARREL ESLIE/VT ROBINSON/201HIEL ST”, en verso. Housed in a contemporary wooden frame reading “MEN”, top center of frame. 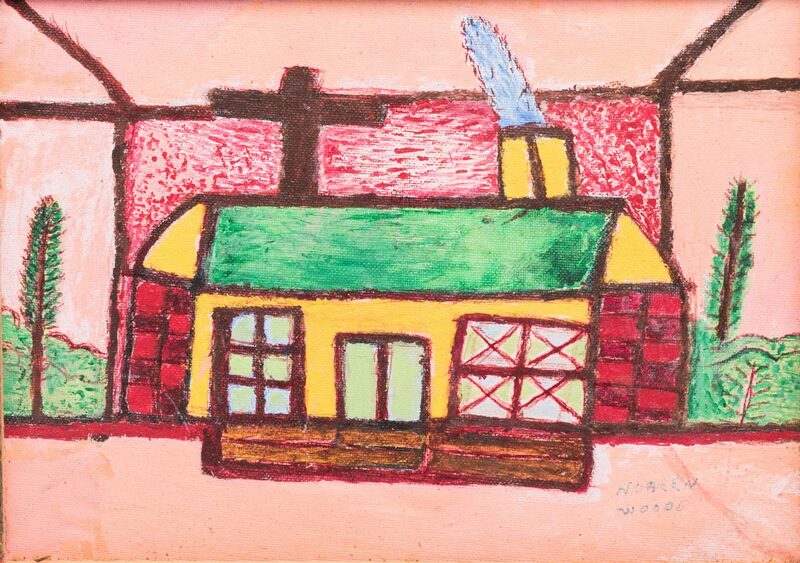 Sight – 10 1/2″ H x 8 1/4″ W. Framed – 13 1/2″ H x 11″ W. 2nd item: Noreen Wood (Wisconsin, 20th century) acrylic on canvasboard painting depicting a house with a green roof and a large cross. 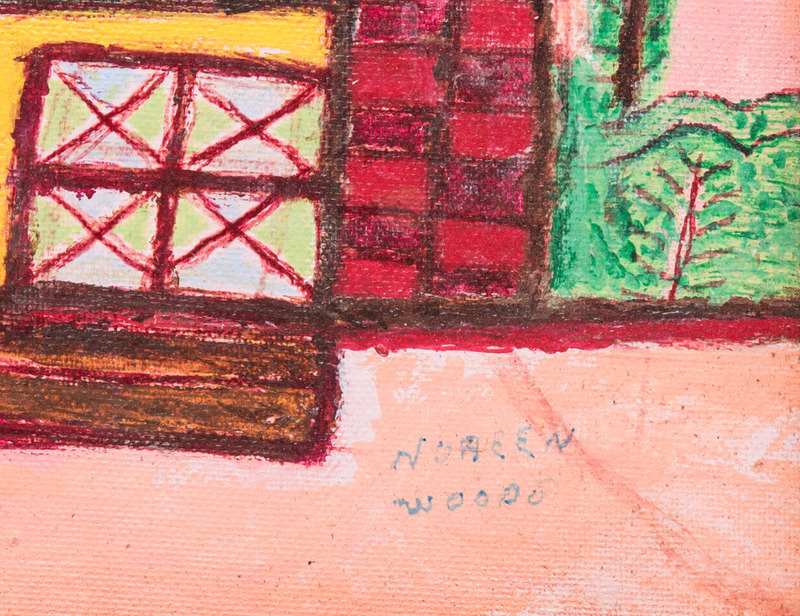 Signed “Noreen Woodo”, lower left of board. 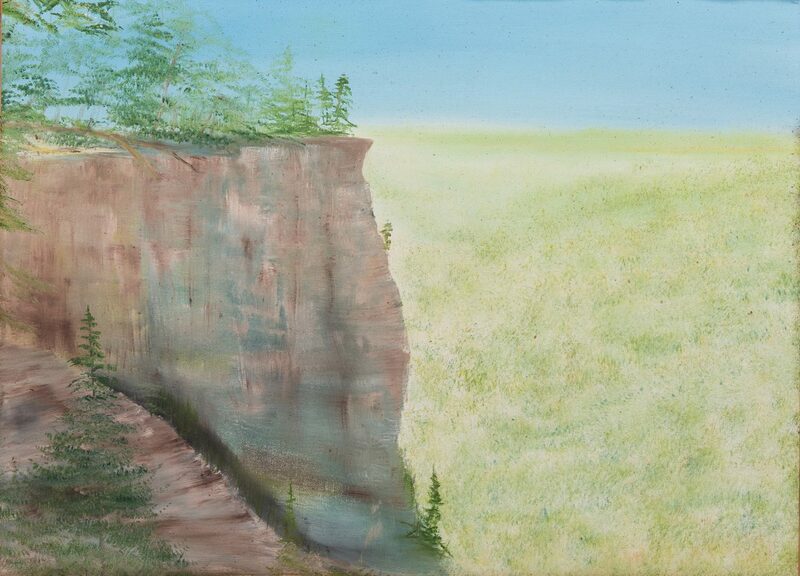 Signed with artist’s contact information “Noreen Wood (414) 352-1560/c/o AMS Greentree Health Care Center/6925 N Port Wash Rd./Glendale, WI 53217″, en verso. 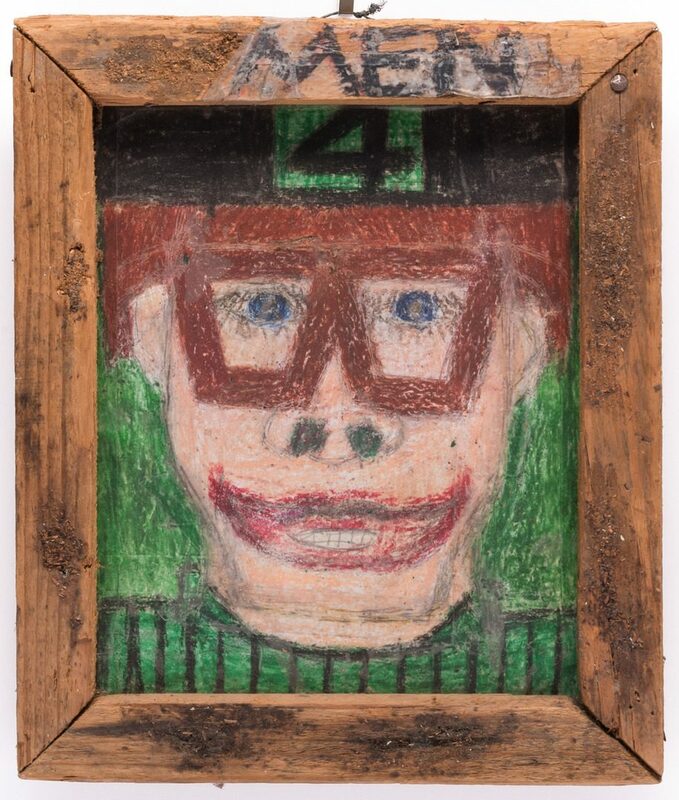 Housed in a contermpoary wooden frame. 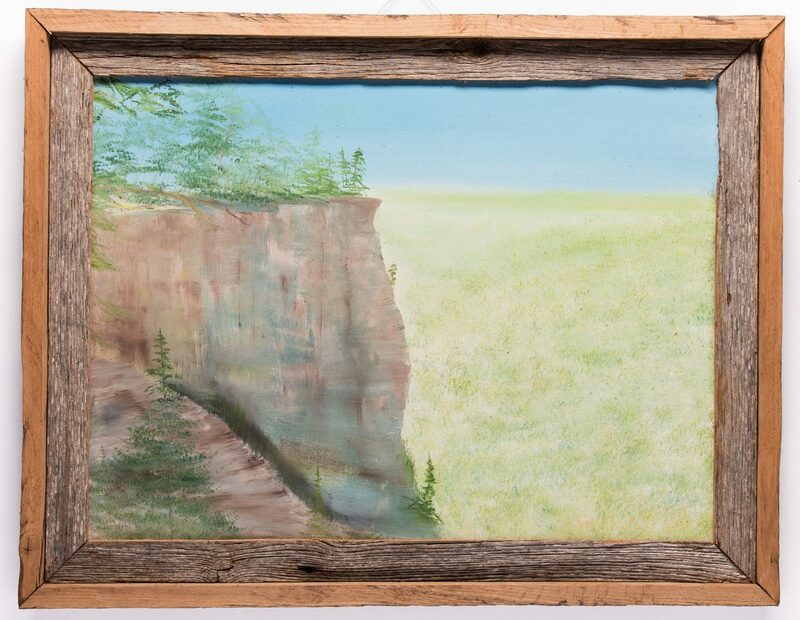 Sight – 8 1/2″ H x 11″ W. Framed – 12 3/4″ H x 15 1/2″ W. 3rd item: American oil on canvas landscape painting depicting a cliff against a green forest and blue sky. 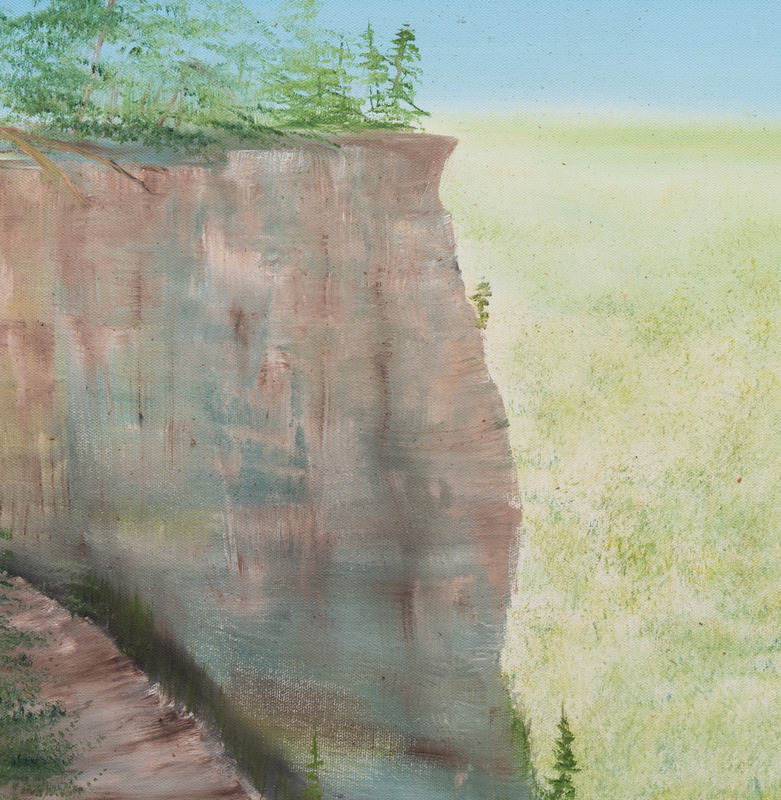 Unsigned. 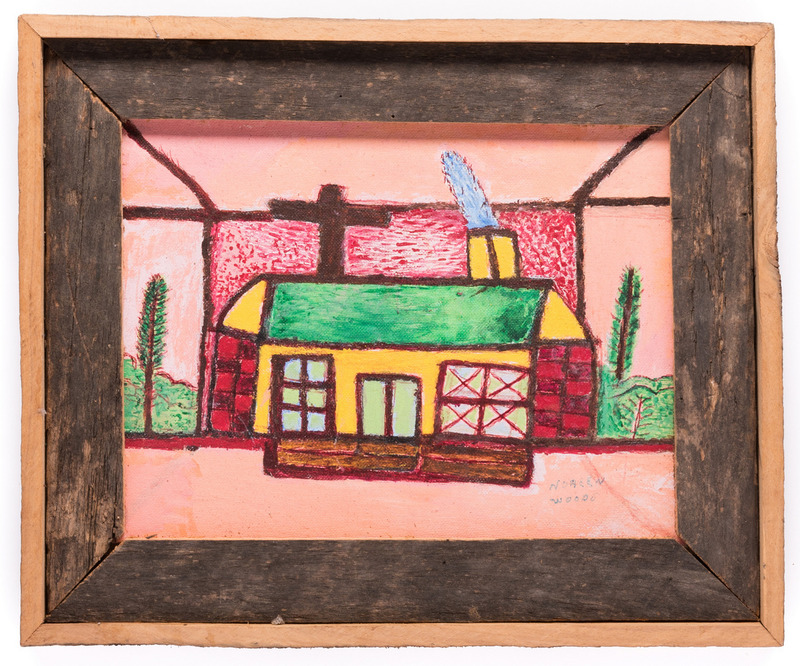 Housed in a contemporary wooden frame. 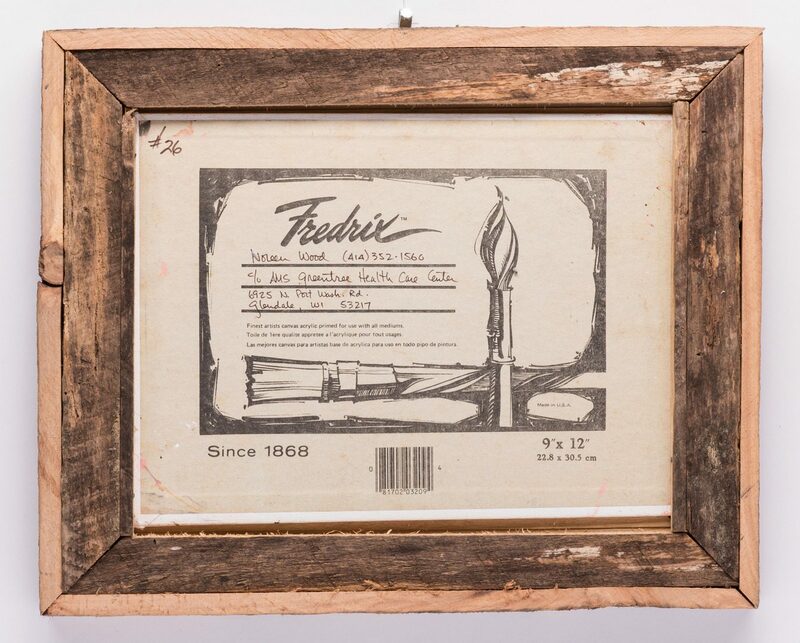 Sight – 17 3/8″ H x 23 1/4″ W. Framed – 22 3/8″ H x 28 1/4” W. All items American, late 20th century. CONDITION: All items overall good condition.